Dory, a computer programmer experiencing a crisis of faith, is laid off from his suit-and-tie job and must resort to cleaning toilets with a brown-collar band of janitorial misfits. Unbeknownst to him, he is made the subject of a bizarre experiment involving deliciously addictive cookies that simulate “oven freshness” by warming in your mouth when eaten. It turns out that the cookies cause spectacular visions, wild mood swings and quasi-pregnancies in the male janitors. The men must pull together to become midwives for one another as each gives birth to a small, beautiful, immaculately conceived blue fish creature. Filmmaker David Russo (Blue Man Group: Mind Blast) delivers a quirky, humorous, dark and stylish meditation on the meaning of garbage in our throwaway society. The film features Russo’s unique visual design and animation, as well as a hallucinatory animation sequence by Dutch animator Rosto and a score by the cabaret ensemble Awesome. 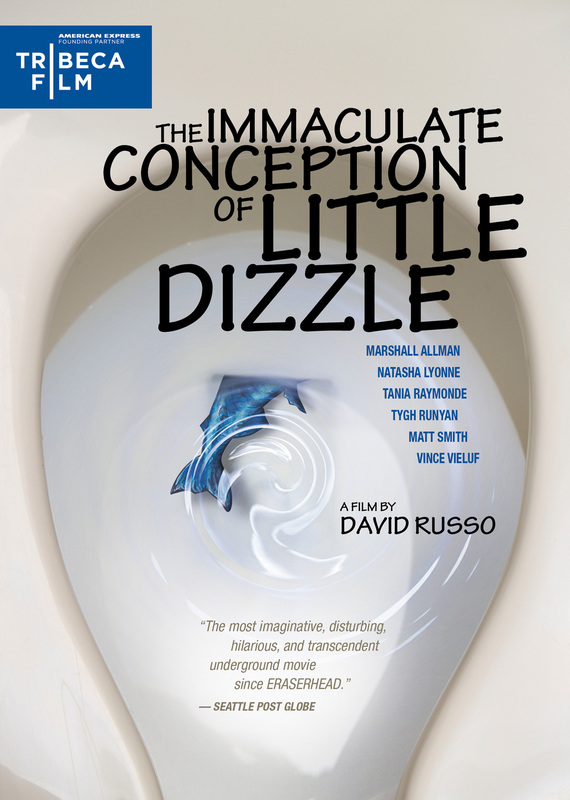 Edited by Billy McMillin (the Academy Award®-nominated Iraq in Fragments), and featuring a stellar ensemble cast, including Marshall Allman, Natasha Lyonne, Tania Raymonde, Tygh Runyan and Vince Vieluf, Little Dizzle is a bittersweet, post-modern fable. See the visually arresting film that premiered as an official selection of the Sundance Film Festival and has captivated audiences around the world with its singular look and feel. The single disc comes with deleted scenes and interviews and commentaries featuring director David Russo. 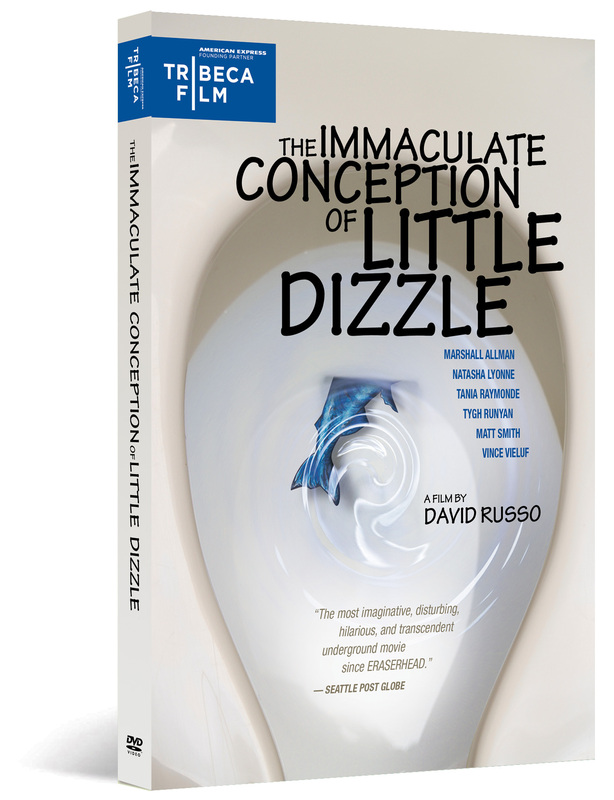 The Immaculate Conception of Little Dizzle is one of 10 Tribeca Film titles scheduled to be distributed by New Video in 2010 and 2011. Tribeca Film is a distribution platform acquiring and releasing films year-round and is supported by Founding Partner American Express. The films range from award-winning dramas and revealing documentaries to uproarious comedies and stunning animated features, many of which premiered at the 2010 Tribeca Film Festival prior to theatrical runs in New York and Los Angeles. The films from the Tribeca Film slate were also available on video on demand in 40 million U.S. homes simultaneously with their Festival screenings through relationships with leading telecom, cable and satellite providers.